Early Springtime Backyard Nature in New Jersey. I installed a bird-feeder next to my back patio. It took a day for some small birds (Chipping Sparrow) to find it. I wonder how long it will be before the squirrels (and bear) stop by. I will put up a wildlife camera and see what type of critters I can catch. 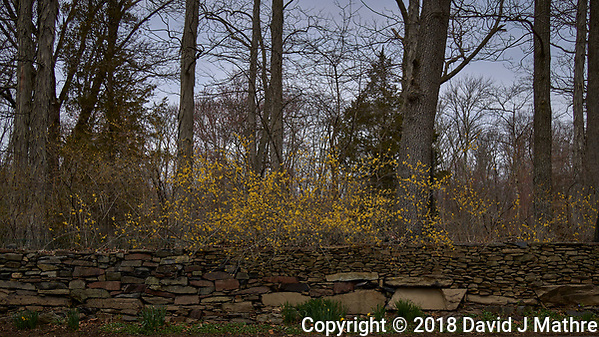 Some Forsythia has started to bloom. Compare the image from today with the same view seven years ago. Finally, some daffodils from today.